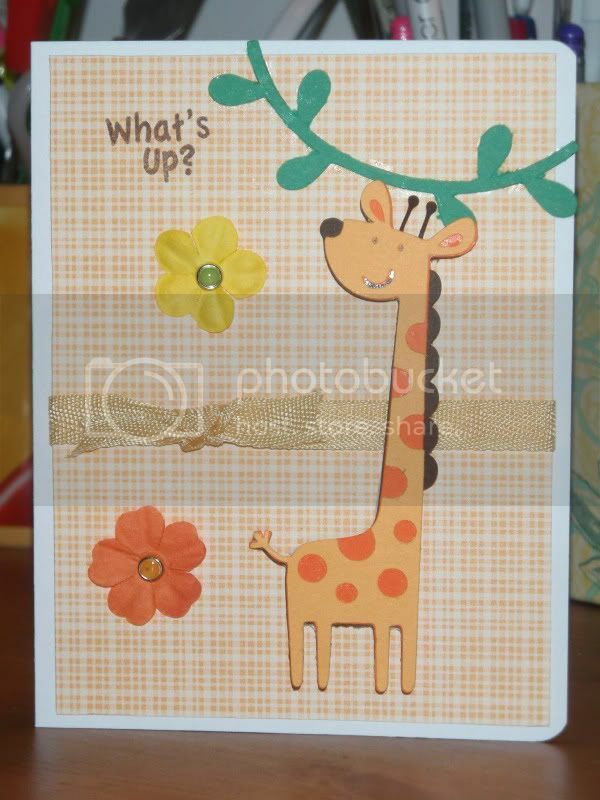 TheFishie's Kitchen and Home: What's Up Giraffe? Yesterday was a wonderful mail day. I received my We R Memories Keeper Corner Chopmper, Critter faces stamp set from Peachy Keen Stamps, and My Pink Stamper's Punny-licious stamp set. 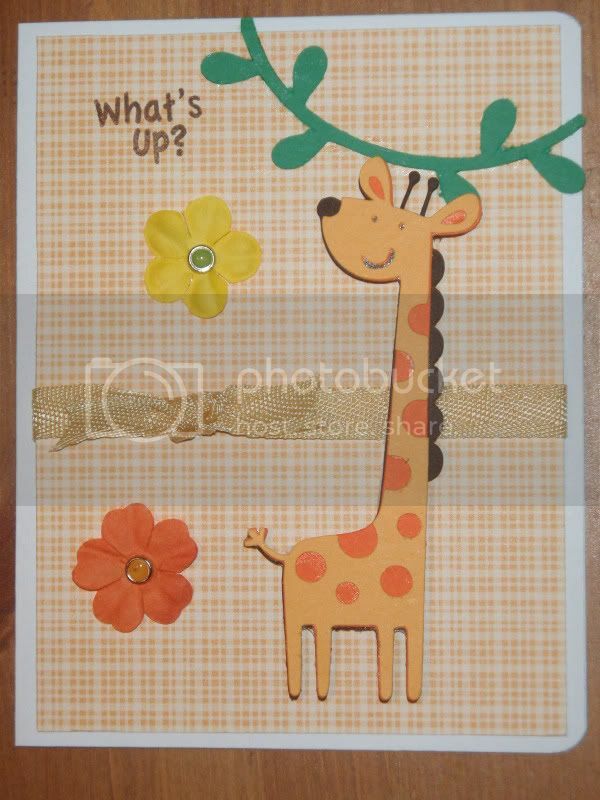 Here's a simple card using both the corner chomper and one of the MPS stamps. Since getting all those Cricut Lite cartridges, I felt as though I had been neglecting Create a Critter, which is simply terrible! It was fun to break him out. - pattern paper, cut 4 x 5.25"